Toledo Bend Gallery - Toledo-Bend.us Memory Cards: Is ULTRA really faster? The short answer is YES!! I did a quick test in my Canon EOS 20D. I shot 13 frames at the highest resolution in "rapid fire" mode (5 frames per second). I shot the same scene with each card. After the 13th frame the time to store the images on the card was checked. Just a little timer was used, so the figures are not precise as they would be with a stop watch... but they were not even close to each other - so, for all practical purposes the times do demonstrate the point. 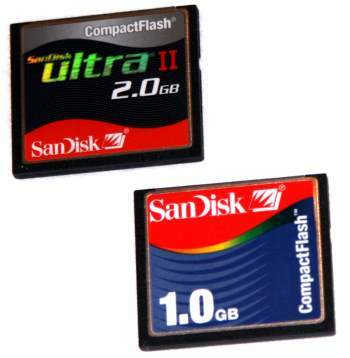 It took the camera 29 seconds to transfer the images to the standard 1GB SanDisk card; it took 12 seconds to transfer the images to the SanDisk Ultra II card. The type II cards with high speed are extremely fast as compared with the standard cards.